Unsolicited, unwanted advertising e-mail, commonly known as ‘spam’, has become a big problem. It’s reached such proportions that most e-mail services and Internet Service Providers (ISPs) have put some sort of blocking or filtering system in place or begun relying on self-proclaimed blacklists to tell the good guys from the bad. We applaud their intention to protect you from spam, but everyone agrees that the current systems for stopping spam are far from a perfect solution. They too often block e-mail that you’ve requested, but that fits somebody’s idea of what spam looks like.The more responsible anti-spam companies and activists are working hard to cut down on these ‘false positives’, but in the mean time, you might unexpectedly find you’re not getting the e-mails you subscribed to…As it happens, there’s something you can do to keep the e-mails you value from falling into the false positive trap. You can fight the blacklists with a ‘whitelist’. Whitelist every new subscription right at the start, before your delivery is interrupted.Of course, every e-mail system is different. Below are instructions for some of the more popular ones, including AOL, Yahoo, Outlook (Hotmail) and Gmail, Outlook Express, Mac OS X (Apple Mail), Thunderbird, Comcast. If yours isn’t here, please contact your ISP’s customer service department for their instructions. 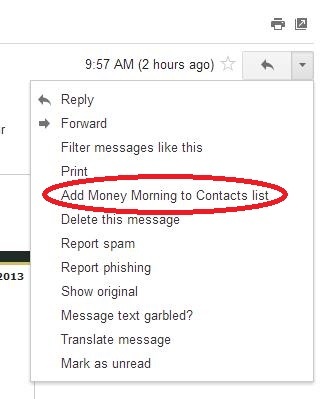 One thing you can do no matter what e-mail system you’re using is add the address in the “From” line of your Money Map Press emails to your address book. 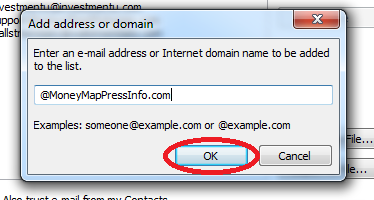 To ensure that you continue to get your e-mails from Money Map Press, please add our e-mail address to your Microsoft Outlook Express Address Book. 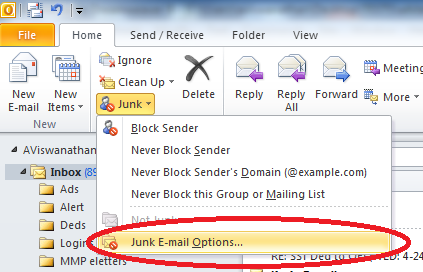 Microsoft Outlook has made it easier than ever to do this… Here’s how in 3 easy steps. 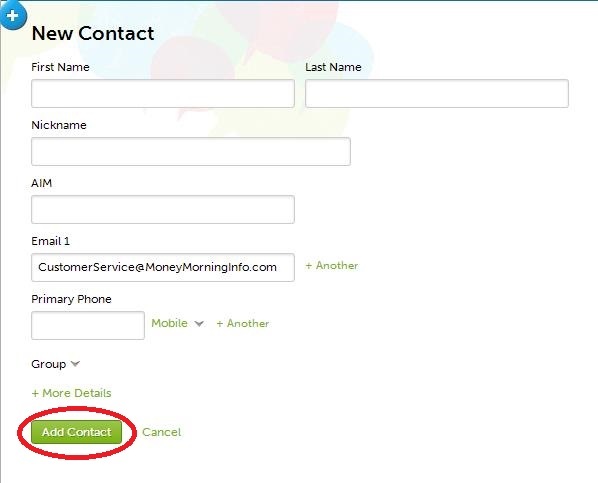 To ensure that you continue to get your e-mails from Money Map Press, please add our e-mail address to your AOL Address Book. AOL has made it easier than ever to do this… Here’s how in 3 easy steps. 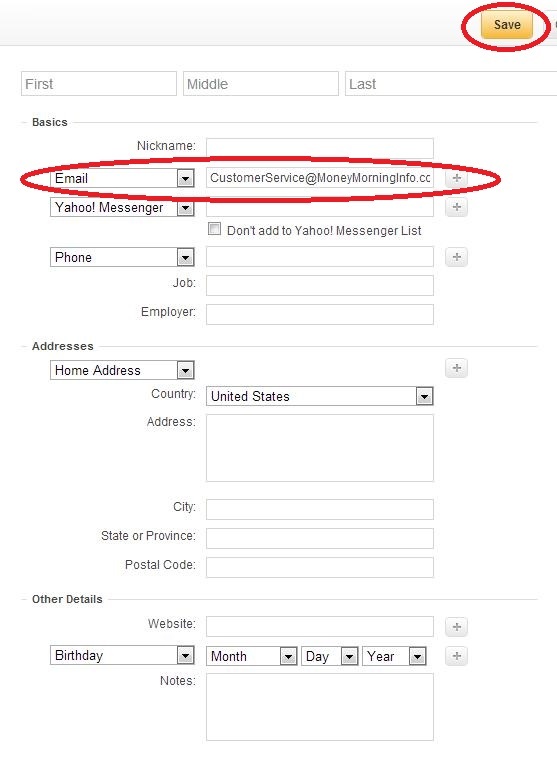 – Using Not Spam “educates” our filtering system: By sending these examples to Yahoo! for review, it will increase the effectiveness of Yahoo! 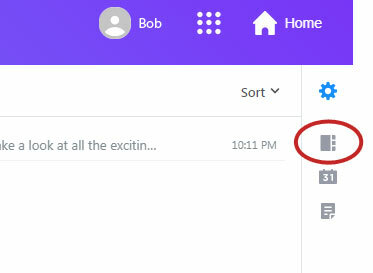 Mail’s filtering system. You can add an ‘@’ sign before to make the filter more specific. 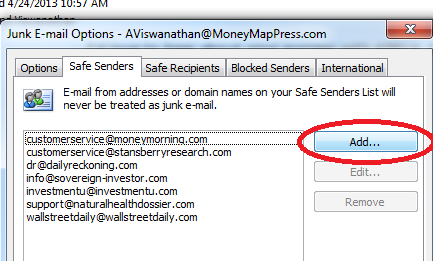 To whitelist all mail from the “MoneyMapPress.com” domain (“MerchantBankerAlert@MoneyMapPressInfo.com”) type “@MoneyMapPressInfo.com”). Of course, you can filter multiple domains with one rule. Click the plus sign next to the last condition and add another domain with the same criteria. Maybe add the additional name to the rule Description, too. To whitelist in Thunderbird, you will need to add Money Map Press to your address book, and then set up your Thunderbird Junk Mail Controls to whitelist your address book. Domain: If your ISP needs to know the domain Money Map Press is mailing from, try forwarding them one of our e-mails. The domain is in the “header” of every e-mail. If that doesn’t work, you’ll have to contact the publisher to ask them what domain they’re sending from. There might be more than one, especially if you have multiple subscriptions.